Rotherham United have announced today that our game at Villa Park in September has been brought forward by twenty-four hours and will now be played on Tuesday, 18th September when kick-off will be 7.45pm. There is also news from the Millers pre-season tour to Austria which they fly out to on Sunday. The Millers will play two friendly games while they are there the first being on Tuesday, 10th July against SKU Amstetten. 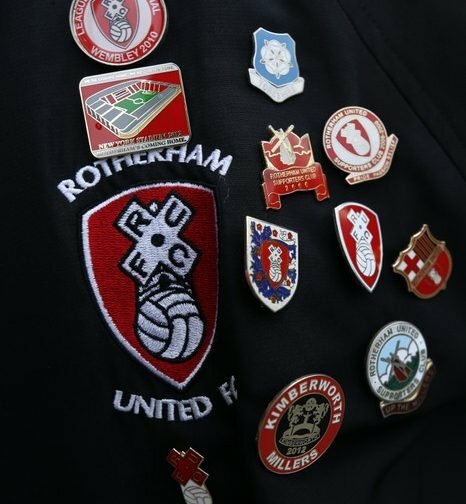 This will take place at Rotherham’s training base at Lindabrunn Sportschule and will kick-off at 10.30am (local time). The second game will be against SV Wiener Neustadt at their home stadium, known as Teddybären and Plüsch-Stadion. This is around thirty minutes away from where the Millers training base is. This game takes place on Saturday, 14th July when kick-off is 5.00pm (local time). Fans will be welcome for both these games. And don’t forget the Millers take on Parkgate FC on Saturday which has a changed kick-off time of <b>12 noon</b> to accommodate the England game which kicks-off at 3.00pm. So pleased about this, I have tickets to see Biffy Clyro on the Wednesday, bought before the fixtures were announced. Now I don’t have to miss one or the other! Tut – who buys tickets to concerts BEFORE the fixture list is announced . . . . .!